Air chassis air suspension kompressor pump repair kit set for. This product page has been automatically translated. If you have any questions, do not hesitate to contact us. Repair the assembly (1 x 110 mm bolt, 52 mm torxschraube, 2 x O-ring, 2 x cable ties, washer, spring, piston ring, piston, compressor cylinder head). Only for vehicles with air suspension! Add our shop to your favorites so that you will be informed in the future always in time about special promotions in our shop. Our transportation and logistics partners. Air suspension suspension kit air compressor compressor for audi a6 a7 4 g. Compatible with the following models. 4 g 2, c 7, 4gc. 4 g 5, 4gd, c7. 4 g 5, c 7, 4gd. 1968 ccm, 120 kw, 163 ch. 1968 cc, 130 kw 177 hp. 1984 ccm, 155 kw, 211 ch. 1984 ccm, 132 kw, 180 ch. 2967 cc, 150 kw, 204 hp. 2967 cc, 180 kw, 245 hp. 2967 cc, 230 kw hp 313. 2995 cc, 220 kw, 300 hp. 2995 cc, 228 kw hp 310. 3993 ccm, 309,420 kw hp. 1798 cc, 140 kw, 190 ch. 1968 ccm, 100 kw, 136 hp. 1968 cc, 140 kw, 190 hp. 1968 cc, 110 kw, 150 hp. 1984 cc, 162 kw, 220 hp. 1984 cc, 185 kw, 252 hp. 1984 cc, 183 kw, 249 hp. 2773 cc, 150 kw, 204 hp. 2773 cc, 162 kw, 220 hp. 2967 ccm, 155 kw, 211 ch. 2967 cc, 160 kw, 218 hp. 2967 cc, 176 kw hp 239. 2967 cc, 200 kw, 272 hp. 2967 cc, 235 kw, 320 hp. 2967 cc, 240 kw, 326 hp. 2995 cc, 245 kw, 333 hp. 3993 ccm, 331 kw, 450 hp. 2967 cc, 140 kw, 190 ch. 3993 ccm, 445 kw, 605 hp. 3993 cc, 412 kw 560 hp. Air suspension air suspension compressor pump repair kit for bmw x 5 99-06. Please note the additional information in the vehicle list! Air suspension air suspension compressor pump repair kit for series bmw 5gt f07. Repair kit suspension air suspension compressor air pump for bmw series 7 f01. Air suspension air suspension compressor pump repair kit for audi a8 4 h.
Air suspension air suspension compressor piston ring repair for mercedes. Air suspension air suspension compressor piston ring repair for audi. Air suspension air suspension compressor piston ring repair for bmw. Air suspension air suspension compressor piston ring repair for range rover. Air suspension air suspension compressor piston ring repair for maybach 240. 5 x air suspension air suspension compressor piston ring repair for mercedes. 5 x air suspension air suspension compressor piston ring repair for audi. 5 x air suspension air suspension compressor piston ring repair for bmw. 5 x air suspension suspension piston compressor piston ring repair for range rover. 5 x air suspension air suspension compressor piston ring repair for maybach. 10 x air piston ring suspension suspension piston compressor repair for mercedes. 1 3 9.90 . 10 x piston ring air suspension air suspension compressor repair for audi. 10 x piston ring air suspension air suspension compressor repair for bmw. 10 x air piston ring suspension suspension piston compressor repair for range rover. 10 x piston ring air suspension air suspension compressor repair for maybach. Air suspension air suspension piston compressor repair kit for mercedes. Air suspension air suspension piston compressor repair kit for audi. Air suspension air suspension piston compressor repair kit for bmw. Piston repair kit for suspension air compressor suspension kit for rover range. Air suspension air suspension piston compressor repair kit for maybach. Block valve air compressor air suspension pump air suspension air pump for bmw series 7. Length of contact nose: 23 mm pins: 3 only for vehicles with air suspension! Level control compressor suspension air suspension air pump for bmw 5 series gt. Regulation valve air suspension air compressor pump air pump for bmw 5 series touring. Cylinder head screw repair suspension suspension air compressor for mercedes. 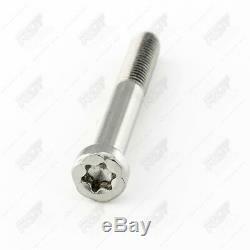 Screw length: 52 mm thread height: 20 mm thread: m6x1 innentorx width: 5 mm. Cylinder head bolt on suspension air compressor suspension for audi. Suspension compressor cylinder head screw repair part for maybach. 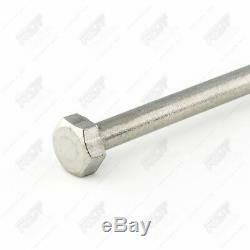 Air suspension compressor suspension bolt bolt for bmw. The air suspension compressor suspension repair cylinder head bolt for land rover. 2 x bolt repair screw suspension air compressor suspension for mercedes. 2 x suspension compressor cylinder head repair screw for maybach. 2 x suspension air compressor suspension cylinder head bolt for bmw. 2 x cylinder head screw to air suspension compressor repair part for land rover. Spring repair kit for air suspension suspension compressor for land rover. Spring repair kit for air suspension suspension compressor for audi. Spring repair kit for air suspension suspension compressor for bmw. Spring repair kit for air suspension suspension compressor for mercedes benz. Spring repair kit for suspension air suspension compressor for maybach 240. Repair kit spring + washer for suspension compressor for land rover. Repair kit spring + washer for suspension compressor for audi. Repair kit spring + washer for suspension compressor for bmw. Repair kit spring + washer for suspension compressor for mercedes. Repair kit spring + washer for suspension compressor for maybach. Ring o-ring seal suspension compressor air suspension seal for mercedes benz. 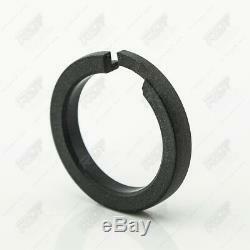 Air suspension compressor seal ring o-ring seal for audi a6 a7 a8 q7. 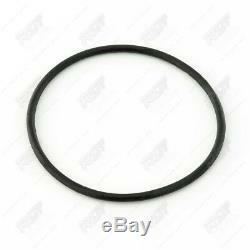 O-ring seal rubber ring compressor air suspension suspension bmw 5 series 7 series x 5. O-ring air compressor air suspension air suspension pump for land rover. Ring o-ring seal repair compressor air suspension sealing for maybach 240. Piston ring assembly kit air compressor suspension compressor kit for mercedes. Set of piston ring gasket kit repair air kit suspension compressor for audi. Set of piston ring gasket kit repair air kit suspension compressor for bmw. Piston ring seal set set rep. Satz suspension air compressor for land rover. Set of piston ring gasket kit repair air kit suspension compressor for maybach. Dry the housing screw air compressor air suspension air suspension for porsche cayenne. Dry screw housing air suspension compressor air suspension for audi a6 a8 q7. Screw air suspension air suspension bracket for mercedes-benz drying cabinet. Air suspension compressor air suspension bolt fastener for bmw 5 series 7 series x 5. Assembly of air suspension compressor screw repair chassis for vw touareg. 2 x dry air compressor suspension screw air suspension housing for porsche. 2 x dry housing screw suspension air suspension air compressor for audi. 2 x screw for air drying air suspension suspension housing for mercedes-benz. 2 x air suspension screw compressor suspension air suspension for BMW 5 series 7 series x 5. Suspension chassis repair 2 x screw air compressor mounting for vw touareg. Kit screw o-ring suspension compressor repair for land rover. Kit screw o-ring suspension compressor repair for audi a6 a7 a8 q7. Kit screw o-ring suspension compressor repair for mercedes maybach. Kit screw o-ring suspension compressor repair for bmw 5 series 7 series x 5. Air suspension compressor screw o-ring adjustment screw for vw porsche. Screw repair kit compressor air suspension piston rings do-ring for land rover. Kit screw o-ring piston suspension compressor repair for audi. Satz screw o-ring gasket suspension compressor for mercedes maybach. Kit screw o-ring piston suspension compressor repair for bmw. 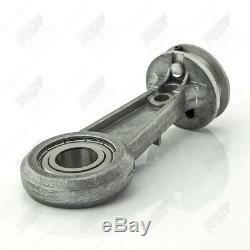 Repair kit screw piston compressor O-ring suspension factors for vw porsche. Repair kit repair kit for compressor suspension pump for land rover. 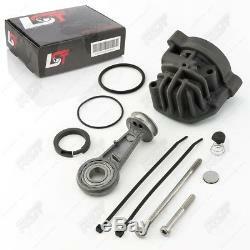 Repair the pump of the suspension compressor kit repair kit air for audi a6 a7 a8 q7. Repair kit repair kit for compressor pump suspension for mercedes-benz. Repair kit repair for air compressor compressor pump for bmw 5 series 7 series x 5. Repair kit for air pump suspension compressor repair for vw porsche. Kit air suspension compressor screw spring repair gaskets for land rover. Repair kit suspension suspension compressor screw pneumatic gaskets for audi. Kit air suspension compressor screw spring seals repair for mercedes. Repair the suspension suspension suspension compressor screw pneumatic seals for bmw. Kit air suspension compressor screw spring seals repair for vw porsche. Air-o-ring suspension suspension compressor repair kit for land rover. Kit seals drain air suspension compressor suspension kit kit o-ring for audi. Kit seals drain kit suspension air compressor air-o-ring suspension for mercedes. Kit seals drain air suspension compressor suspension kit kit o-ring for bmw. Adjusting screw seal for the repair kit set pneumatic suspension compressor for land rover. Repair the air suspension compressor kit rep. Adjusting screw seal for the repair kit set air suspension compressor for mercedes. Screw set seal for bmw. Adjustment screw seal for repair kit set air suspension compressor for vw porsche. Screw compressor air suspension repair kit seals for land rover. Repair the compressor air suspension threaded gasket for mercedes. 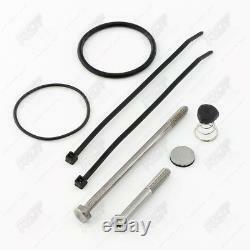 Repair kit screw seal kit nec suspension air compressor for bmw. Repair the air compressor air suspension kit attached for vw porsche. Gasket kit repair kit set for the compressor pump suspension for land rover. Kit kit seals drain rep repair. Defined for the compressor pump suspension for audi. Repair kit kit gasket drain air suspension compressor rep. Seal repair kit repair kit repair kit suspension compressor air pump for bmw. Gasket kit repair kit set for the compressor pump suspension for vw porsche. Repair air compressor air suspension set for land rover. Washer to repair the part for the compressor suspension pump for land rover. 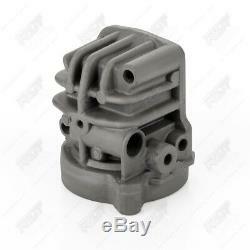 Washer repair part for air pump suspension compressor air pump for audi. 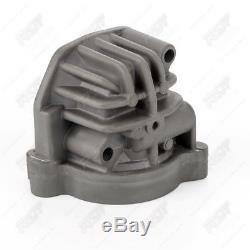 Washer repair part for air pump suspension compressor air pump for bmw. Washer repair the part for the compressor pump suspension for mercedes-benz. Washer repair the part for the compressor pump suspension for maybach 240. O-ring seal repair compressor air suspension sealing for land rover. O-ring seal rubber seal repair compressor air suspension for audi. Ring o-ring seal repair for air suspension compressor sealing for mercedes. Sealing ring o-ring rubber gasket repair air suspension compressor for bmw. 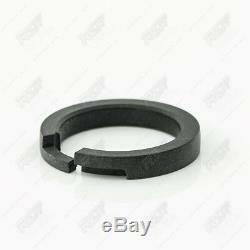 Ring o-ring seal repair compressor air suspension sealing for vw porsche. Air compressor pump seal set suspension kit for land rover. Compressor pump suspension repair kit gasket air suspension kit for audi. Repair kit attached air compressor pump suspension kit for mercedes-benz. Compressor pump suspension repair kit air suspension seal gaskets for bmw. Set air suspension compressor pump gasket for vw porsche. Compressor pump suspension repair kit gasket cover assembly for land rover. 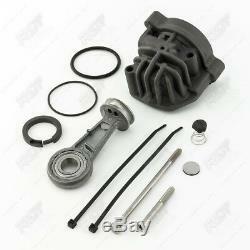 Compressor pump suspension repair kit rep. Set seal the cover of the kit for audi. Gasket cover set of repair kit air compressor suspension pump nec mercedes. Repair air compressor kit suspension pump rep.
Set kit seals drain lid for bmw. Compressor pump suspension repair kit gasket cover assembly for vw porsche. Air compressor pump suspension repair kit rep. Set air suspension bmw x 5. Suspension compressor pump repair kit set air suspension series bmw 5gt f07. Set air suspension for bmw series 7. Suspension compressor pump repair kit set air suspension pneumatic for audi a6 a7 4 g. Reparatursatz, set, reparatur, set, satz, teil. Ersatz, ersatzteil, austausch, repair, kit, spare. 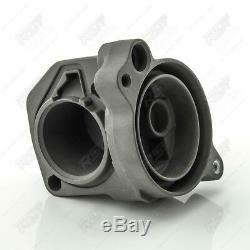 Part, replacement, repaiar, auto, automobil, kfz. Luftfederung, kompressor, pumpe, air pump. The item "air chassis air suspension kompressor pump repair kit set for" is on sale since Tuesday, August 21, 2018. It is in the category "auto, motorcycle parts, accessories \ auto \ parts \ suspension, steering \ air suspension ". The seller is "rst-ag" and is located at 84085. This item can be delivered to anywhere in the world.